Stylish craft fun which oozes sophistication. Glamorous, exotic, all the rage. Get creative with the craze for traditional Japanese dolls. 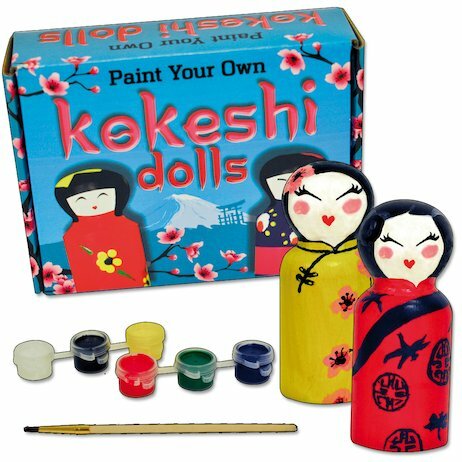 This beautiful kit is the perfect place to start your Kokeshi collection. Discover the ancient shapes and patterns that represent different Japanese regions. Then set your creativity free by giving your dolls a truly unique look.